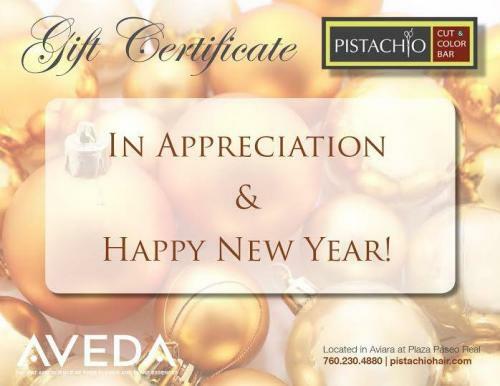 Pistachio Cut & Color Bar is happy to offer Gift Certificates* for purchases of our eclectic fashion boutique merchandise, essential AVEDA hair products and hair services! Get Your’s Today! Take care of others this holiday season and get something back in return! Get a $10 gift certificate with the purchase of a gift certificate worth $100 or more. It’s our way of paying it forward.